Could anyone forget the 4th March of this year? In regards to the band, when you talk about THE PRODIGY especially to someone who's not so keen with them, first thing that comes into their mind is...KEITH FLINT. Over the years, my generation breathes inside THE PRODIGY vibe, we used to stick our tongue out when little kids as 'Firestarter' came off, learning how to be energized by listening to electronic punk music made in Essex. You can tell we've been prodigized and still remain. To me, these boys are the beginning of my music education, how the big world of music hugged me from a young age and made me form my glowing project in the start of this decade. But I don't want to emphasize a lot to the band at present, but to one of their members. 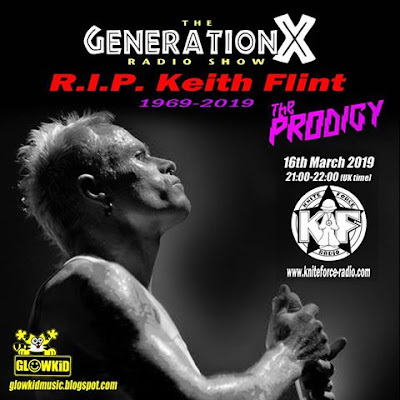 So since 4th March was a very sad day, I've decided to make a radio tribute to KEITH FLINT and only including stuff he's been involved with his vocals, either with THE PRODIGY or his side projects, FLINT & CLEVER BRAINS FRYIN. 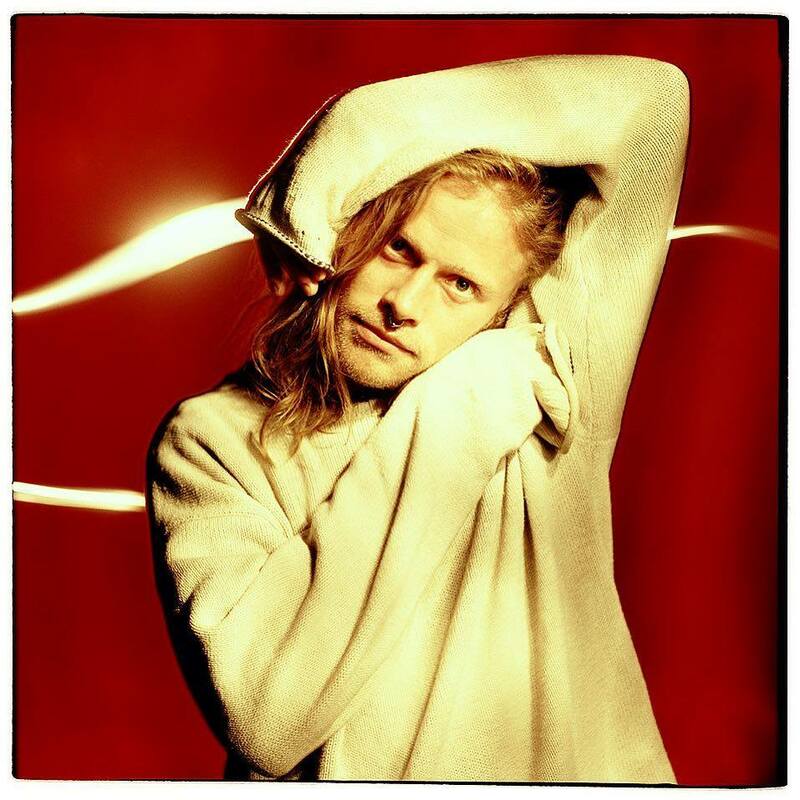 It's a radio tribute strictly for the devoted fans of THE PRODIGY & KEITH. This is a special edition of Generation X [RadioShow] broadcasted exclusively on Kniteforce Radio on 16th March. Closing, I'd like to send my Massive Bigups to all fans supporting over the last week, 5 albums by the band boosting them onto the Top 5 of UK Official Album Charts (LINK). Last but not least there are various petitions after Keith's loss, but I'd like to stick to three of them. First one's asking for the official release of 'DEVICE#1' by his band FLINT, which was only test-pressed in 2003 (LINK) while the second one's asking for a statue of KEITH, to be put at his hometown Braintree in Essex (LINK) and third one's to feature THE PRODIGY Glastonbury 1997 gig on the upcoming one taking place in a few months from now... (LINK). Bigup to TonyL for the show's artwork & all PRODIGY fam all around the world. Danny & The Prodigy Fanboy, Brainkiller, The Jilted Generation, TheProdigy.Info & Jussi, Neko, German Warriors, Martin James, Russian ant soldiers, all UK & US crew, Serbia, Polski Warriors, Greek nutters, Italy, Spain, Dutch, Japan, Norway, Latvia, Ukraine, Bulgaria, Romania, Aussie crew and each and everyone worldwide representing the vibe! All more united, especially those hard days...! LIAM & MAXIM, we're next to you more than ever! We Live For The Beats!